Here at Dover Honda we don’t make you jump through hoops to get responses to simple questions or trek back and forth in search of a decent selection. At our new state-of-the-art facility, we provide clear answers to your queries and give you all the variety you need to make the right purchasing decision. We do this because, at the end of the day, we wouldn’t be here without customers like you, and we want to earn the right to serve you. 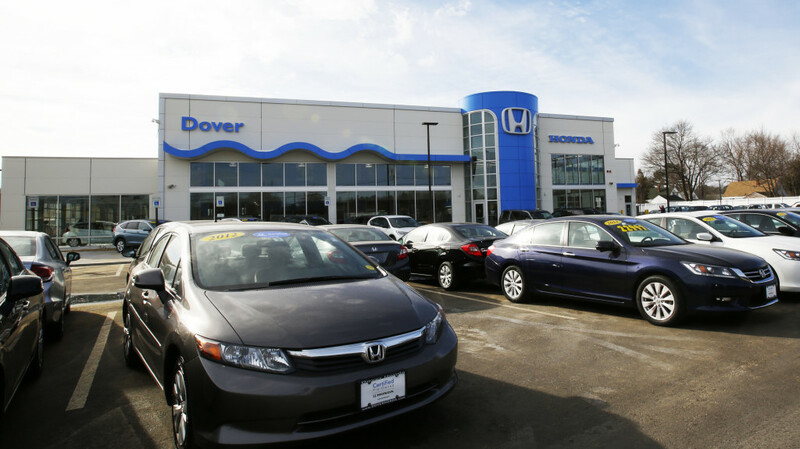 When you come to Dover Honda, you quickly come to understand that we’re just different. We’re not a franchise cog in a massive corporate machine; we’re an employee-owned company that is highly focused on community service, and we’re a proud member of the trusted International Cars, Ltd., family. We don’t operate from a decades-old location — we do our business inside a state-of-the-art, LEED-certified building. Plus, we don’t rush you out the door — we take the time to listen to your wants and needs. Whether you’re here to buy a brand-new Honda Accord or a Certified Pre-Owned Honda Civic, we have your back, and we’ll help you finance or lease it on your terms. We put just as much care into our repairs as we do into our sales. We offer express service when it comes to more basic procedures like oil changes and lightbulb replacements, and we stand by the work we do with a 12-month parts and labor guarantee. Need to order OEM Honda parts and accessories to spruce up your ride? It’s easy to do thanks to our large parts inventory, simple online order form and helpful parts department. Need a way to get to or from our dealership while your car is out of commission? Use our courtesy shuttle service. Want to stick around while we tune up your vehicle? Relax in our comfortable waiting room and enjoy the refreshments. It’s all up to you! Shopping for a new car should be an easy process. That’s what we believe at our Honda dealership near Portsmouth, NH, and it’s why we do things the way we do. See for yourself and pay us a visit at 1 Dover Point Road in Dover, NH! Dover Honda donated food items and a five-hundred dollar gift certificate to the Dover Food Pantry through our winter Food for Friends campaign, to help facilitate local hunger-relief. Each Spring, Dover Honda sponsors QuackFest in Durham, NH to benefit Oyster River Womenade . The rubber duck race down the Oyster River raises funds to support the surrounding community. As part of a November sales promotion, Dover Honda and the ICL family of dealerships will donate $100 per each car sale, up to $15,000, to the Veterans Northeast Outreach Center in Haverhill.